22 years experience in Private Banking and Private Equity with Merrill Lynch Bank, SW Source Capital, and Equity-i as co-Founder and Partner. First Vice President Merrill Lynch Bank for 9 years, and member of the top 3 recognition clubs of the Firm (Bahrain and Dubai), during which Halazon advised ultra high net-worth individuals on range of investments from private equity to public equities. Co-founded the private family office SW Source Capital in 2004 for one of the royal families in Abu Dhabi. 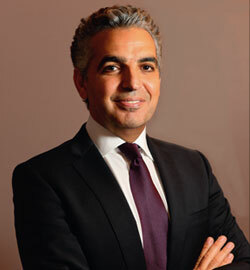 During his tenure as co-Managing Director, he was directly responsible for investments totalling over $400m in equity (un-leveraged), including the acquisition of minority stake in Orascom Telecom (Djezzy- exited with an IRR over 80%), and the merger of interests with a Omani group that led to the creation of Gourmet Gulf, MENA master franchise owner of Yo-Sushi, California Pizza Kitchen (CPK) and Gourmet Burger Kitchen-GBK. Stake later sold to MAF Ventures in 2013. Co-founded Equity-i in 2006, where Halazon led multiple team negotiations, structuring, and advised clients for M&A transaction in the EMENA region, including the acquisition and turnaround of a bankrupt telecom asset in East Africa, $150m funding for an MTC block, the development of a world-class bauxite asset in West Africa, and the acquisition of a global F&B Master Franchise of one of France’s highly reputable french groups, amongst others. Board membership at Orascom Telecom Algeria (2005) and Teambuy.ca Canada (2010-2012), and co-founder and ex-director of Cornerstone Real Estate UAE (2004-2006) and Novo Urban Management Consultants (2015-2017), and concept developer for First Avenue Mall and Hotel in Motor City- Dubailand (completed). Member of the Young Arab Leaders since 2006, and the Jordan Engineers Association since 1993. Mr. Halazon received his undergraduate degree from University of Notre Dame- Indiana-US in Architecture in 1993 and his MBA from Boston College-Massachusetts-US in 1995. Formerly with US based private equity firm Emerging Markets Partnership ($4bn under management at the time) with specialty of investing in hard assets and infrastructure. Managing Partner at private family office, SW Source Capital, acting for one of the royal families in Abu Dhabi. 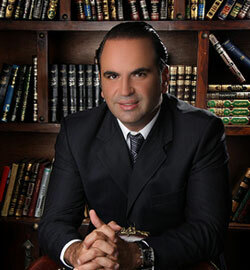 During his tenure as co-Managing Director, he was directly responsible for investments totalling over $400m in equity (un-leveraged), including the acquisition of minority stake in Orascom Telecom (Djezzy- exited with an IRR over 80%), and the merger of interests with a regional group that led to the creation of Gourmet Gulf, MENA master franchise owner of Yo-Sushi, California Pizza Kitchen (CPK) and Gourmet Burger Kitchen-GBK. Stake later sold to MAF Ventures in 2013. He began his career in commercial banking at Arab Bank Plc and then joined Taylor-DeJongh Inc an international project finance boutique based in Washington and London. M.A. from Georgetown University, an MBA from the American Graduate School for International Business, and a B.A. from the American University in Washington DC. Founding Partner of BMC-Arabia, a joint venture with the Munich based Barkawi Group which was founded in 1994 and specialises in Supply Chain and Logistics consultancy. Appointed as an independent board member of Al Bilad Capital in February 2015; he also sits on the Audit committees. He joined the board of Mubarrad, a publicly listed company, in November 2016. 4 years as a Partner at The Abraaj Group and the Chief Executive Officer of the firm’s operations in the Kingdom of Saudi Arabia where he led the team responsible for making investments across a variety of asset classes. Amongst other responsibilities within the Abraaj Group, he headed the global Real Estate business and was also a member of the firm’s Risk Committee. 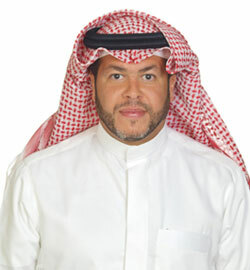 He now serves as a Senior Advisor to the firm where he also served on the board of directors of both Kudu and Tadawi. Between 2009-2011, Mr. Radwan was the CEO of EFG-Hermes in Saudi Arabia and a member of the Executive Committee of EFG-Hermes Holdings. Previously, Mr. Radwan worked at Goldman Sachs between 1997 and 2009, in both London and New York, where he held a range of positions within the Equities and the Asset Management divisions. He began his career with JP Morgan in New York and then moved to London where he spent almost four years between 1993 to 1997 in the Fixed Income and Credit Research Division. served as the Chairman of the Investment Committee of BUPA Saudi Arabia between May 2009 till Jan 2013. Founding board member of Endeavor Saudi Arabia, a US based organization that supports high impact Entrepreneurs around the world. Bachelors of Science degree in Finance and international business from Georgetown University in 1992. He was appointed, and continues to serve, on the Board of advisors of the McDonough School of Business since 2012.